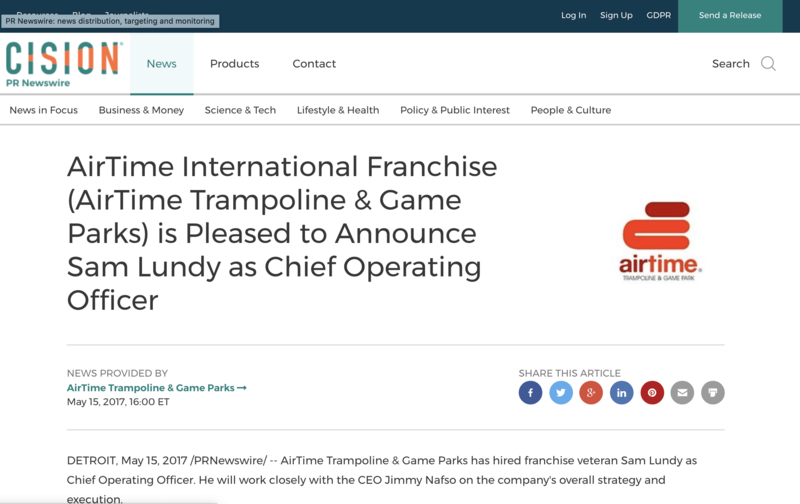 “DETROIT, May 15, 2017 /PRNewswire/ — AirTime Trampoline & Game Parks has hired franchise veteran Sam Lundy as Chief Operating Officer. He will work closely with the CEO Jimmy Nafso on the company’s overall strategy and execution. Sam has over 25 years of franchising, and was most recently with Marcus Lemonis Company. AirTime and its customers will benefit immensely with Sam as COO.